The pregnant or postpartum patient presents a unique set of challenges to the emergency physician. Although life-threatening emergencies are relatively rare, they require specialized protocols and different considerations than we’re used to (i.e. medications contraindicated in pregnancy and lactation). Maternal morbidity is increasing as women are seeking pregnancy at a later age – 1 in 12 births in the US in 2008 was to women greater than 35 years of age compared to 1 in 100 in 1970. According to the Public Health Agency of Canada, there were 6 deaths per 100 000 deliveries in 2011. The most common diagnosis associated with these deaths were diseases of the circulatory system. Finally, pregnancy-related emergencies can carry significant emotional distress, as there are two patients to consider. Blood volume in a normal healthy pregnant female increases 50% above non-pregnant levels (approximately 1500 ml). HR and stroke volume are increased, resulting in increased cardiac output (from 4L/min to 6L/min). Reduced venous return to the heart and decreased cardiac output when supine leads to “supine hypotensive syndrome”. Decreased systemic vascular resistance and pulmonary vascular resistance during pregnancy at term. Nearly all procoagulants are increased in pregnancy, with a reduction in fibrinolysis, contributing to an hypercoaguable state. Increased GFR (by up to 50%) can affect the metabolism of medications. Progesterone stimulates the respiratory centre to increased respiratory depth (not rate), leading to increased minute ventilation (increased tidal volumes by 40%). This results in an decreased pCO2 to a mean of 30 mmHG, with compensatory drop in HCO3 to 19-20. Total lung capacity is minimally decreased because of the reduction in residual volume. Venous thromboembolism (VTE) is the leading cause of maternal death in developed countries. The pregnant and postpartum state fulfills all 3 criteria of Virchow’s triad: hypercoagulable state, venous stasis and vascular damage. Pregnant women are 4-5 times more likely to develop VTE than non-pregnant women of similar ages; the incidence of pregnancy-associated DVT is 3 times higher than pregnancy-associated PE. Reported incidence varies from 0.08-7.13 per 1000 pregnancies, and is difficult to define due to the rarity of the condition, diagnostic dilemma in pregnant patients and differences in study designs. A recent systemic review and meta-analysis by Meng et al found a pooled incidence rate of 1.4% for VTE, 1.1% for DVT and 0.3% for PE, with incidence increasing with each trimester. They also identified that 70% of all PEs were diagnosed postpartum. A systematic review and meta-analysis by Kline et al analyzed 25 339 patients worked up for PE in US Emergency Departments, and found the RR for VTE in pregnancy to be 0.60. Based on these results, the group postulated that we may be over testing pregnant patients for PE. D-Dimer should not be used to exclude VTE in pregnancy. 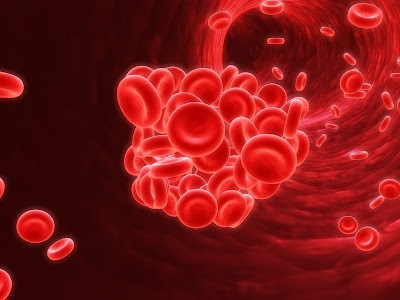 Levels become elevated as a result of physiologic changes in the coagulation system, namely rising levels of circulating fibrinogen. While some studies have shown an linear increased with each trimester, the sensitivity of D-Dimer in pregnancy is low, and its use can be further complicated by concomitant problems in pregnancy, such as pre-eclampsia, threatened abortion and hemorrhage. The PERC rule is also unreliable and should not be used in isolation to rule out PE in patients with pregnancy and postpartum status. Bilateral Doppler ultrasound has high specificity but low sensitivity in patients with high probability of PE; its use in all pregnant patients may not be cost-effective if asymptomatic, but avoids radiation exposure. Chest X-ray is recommended in all patients as it may reveal an alternative diagnosis. It can also be used to increase the likelihood of a definitive VQ scan by triaging only patients with normal x-ray to undergo VQ. This strategy increases the probability of a definitive result to 94-96%. VQ scan is the preferred test according to the American Thoracic Society in patients with a normal chest x-ray, and without history of asthma or COPD. Hydration is recommended to encourage frequent urinary voiding to reduce fetal exposure to radioactive isotope. CT pulmonary angiogram remains the gold standard for the diagnosis of PE in non-pregnant patients, but some studies have found the likelihood of non-diagnostic study in pregnancy to be high as 17-36%. No single diagnostic x-ray procedure results in radiation exposure to a degree that would threaten the well-being of the developing embryo or fetus. A wide range of values reported reflect heterogeneity in protocols and equipment, but VQ scan and CT-PA have essentially the same fetal radiation exposure (0.5 mGy). The estimated risk for the mother is higher with CT-PA, as the calculated dose to the breast tissue ranges from 10-60 mGy. This would increase the mother’s lifetime risk of developing radiation-induced cancer by 1.5%. Pregnancy is also a time of proliferation of breast tissue, which could further increase the risk. An excellent breakdown of the fetal radiation exposure for each imaging modality may be found here. Low molecular weight heparin is the treatment of choice for confirmed VTE in pregnancy. It does not cross the placenta, and is dosed the same way as in non-pregnant patients. Unfractionated heparin is also safe, but is associated with thrombocytopenia. It should be reserved with mothers with renal dysfunction or if delivery is imminent and the need for reversal is anticipated (protamine is also safe in pregnancy). Acute myocardial infarction (MI) is rare in pregnancy (1-2 per 35 000 deliveries) but pregnancy increases the risk of MI by 3-4 times. incidence is increasing as advancing maternal age increases (OR 16 for age >35 years). Other risk factors include hypertension (OR 21.7), smoking (OR 8.4) and diabetes (OR 3.6). MI in pregnancy most commonly occurs in the 3rd trimester and puerperium (6 weeks after delivery). While atherosclerosis still accounts for the majority of ACS in pregnancy, spontaneous coronary artery dissection has been found to be the main cause of MI in the peripartum period. This is thought to be due to structural changes in the intima and media of arterial wall due to effects of hormonal fluctuations, coupled with the increased cardiac output of pregnancy and hemodynamic effects of labour. For cardiac catheterization, interventionists need to be aware of the risk of iatrogenic propagation of dissection. Angiography is associated with a wide variation of fetal radiation exposure, which can be minimized by using a radial approach, decreased fluoroscopy times and appropriate shielding. The preferred treatment of coronary artery dissection is conservative, as most dissected segments heal spontaneously. If intervention for MI is required, PCI is preferred over thrombolysis, due to high incidence of SCAD, risk of hemorrhage, fetal loss, spontaneous abortion, subchorionic hematomas and PPH, and additionally pregnancy is a relative contraindication to tPA. Maternal mortality in CABG is the same as general population (1.7-3%), but fetal mortality is 9.5-19%. If CABG is necessary, consider immediate delivery of child before/during cardiac surgery if the fetus is >28 weeks gestation. The pregnant state accounts of >50% of dissections occurring in women aged < 40 years and 14% of cardiac deaths during pregnancy are due to aortic dissection. Increased blood volume, stroke volume and cardiac output combined with the hormonal effect on tunica media and intima cause increased shear forces on the aortic wall – similar to SCAD. Treatment is the same as in non-pregnant patients, and is safe (labetalol, nitrates, hydralazine), with the caveat that beta-blockers should be titrated to reduce resting heart rate by at least 20%, instead of the usual target of <60 bpm, as heart rate is increased in pregnancy. A higher dose may be needed because of increased sympathetic output in pregnancy. Dilated cardiomyopathy causing left ventricular systolic dysfunction typically presents in the last month of pregnancy and up to 5-6 months postpartum; diagnosed only in previously healthy pregnant women. Incidence varies from 1 in 4000 live births in the US, to 1 in 300 live births in Haiti, and the etiology is unknown. The clinical presentation is similar to LV systolic dysfunction from any cause (palpitations, fatigue, SOB at rest or exertional, cough, PND and orthopnea). Early signs and symptoms of LV systolic dysfunction may be mistaken for physiologic changes of pregnancy (but orthopnea, persistent dyspnea and tachypnea are not normal). Treatment is the same as in non-pregnant patients (lasix, hydralazine, nitrates) but ACE inhibitors should be avoided due to teratogenic potential. Anticoagulation should also be initiated, as the risk of thromboembolism is further increased in peripartum cardiomyopathy. Prognosis is usually quite good, with full recovery at one year, but this is correlated to initial findings on echo. 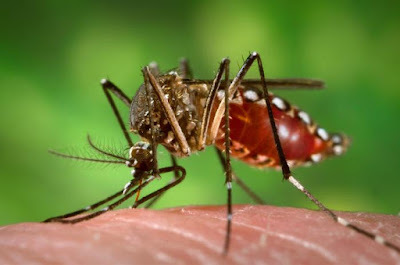 Receiving significant media attention recently, the Zika virus is transmitted by the Aedes mosquito (the same mosquito that transmit arboviruses: dengue and chikungunya), first isolated in the Zika forest in Uganda. It is transmitted through a mosquito vector, but the possibility of sexual transmission has been described and is very likely. The clinical presentation is a Dengue-like illness: rash, fever, myalgia, arthralgia and conjunctivitis. Only 1 in 4 infected people develop symptoms of the disease; overall risk of infection is low. Since the identification of the Zika virus in Brazil in early 2015, the virus has spread rapidly through the Americas. According to the WHO, from January 1st 2007 to March 30 2015, Zika transmission was documented in a total of 61 countries and territories. Six countries have now reported locally acquired infection in the absence of any known mosquito vectors, probably through sexual transmission. Microcephaly and other fetal malformations potentially associated with Zika virus infection or suggestive of congenital infection have been reported in Brazil. According to the Ministry of Health of Brazil, since October 2015, a total of 7015 suspected cases of microcephaly or other nervous system malformations among newborns have been reported, with 113 confirmed cases with evidence suggestive of congenital infection. The WHO declared a state of public health emergency of international concern in February 2016. A NEJM case reported followed this, describing the case of a pregnant patient in Slovenia volunteering in Brazil infected at 13 weeks gestational age. She was found to have fetal anomalies on ultrasound at 29 weeks, and the pregnancy terminated at 32 weeks due to severe brain disease and microcephaly. The autopsy confirmed severe fetal brain injury associated with ZIKV infection with vertical transmission. The NEJM subsequently published a prospective cohort study including 88 pregnant women in Brazil; PCR assays of blood and urine were used to compare fetal outcomes of pregnant women positive for Zika (82%). They found infection during pregnancy to be associated with fetal death, placental insufficiency, fetal growth restriction and CNS injury. This lead to the CDC issuing a statement that “sufficient evidence has accumulated to infer a casual relationship between prenatal Zika virus infection and microcephaly and other severe brain anomalies”. Their hope is that this leads to more direct public health messaging, in terms of prevention and the potential development of a vaccine. In Canada, pregnant women with exposure history and concern can have blood sent to Public Health for PCR and serology with follow-up in a Tropical Medicine clinic. Specialized ultrasound scans are done in positive patients at 18-20 weeks gestation. It is also important to consider the partner who has traveled as well, due to the risk of non-infected pregnant women acquiring the infection from her asymptomatic partner. Public Health will not test these, so the couple needs to practice preventative measures: condoms or abstinence throughout pregnancy. Normal pregnancy causes significant physiologic changes. 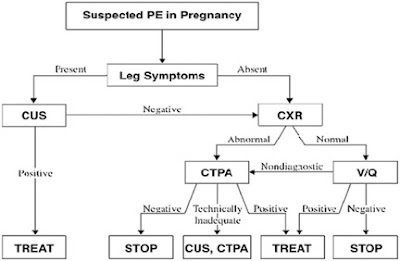 70% of all PE’s in pregnancy occur postpartum and the risk of PE increases with each trimester. Work up is unlikely to cause significant fetal radiation exposure, use a shared decision-making model. Pregnancy increases the risk of MI 3-4 times, consider SCAD on the DDx. Consider cardiomyopathy in late pregnancy and puerperium. 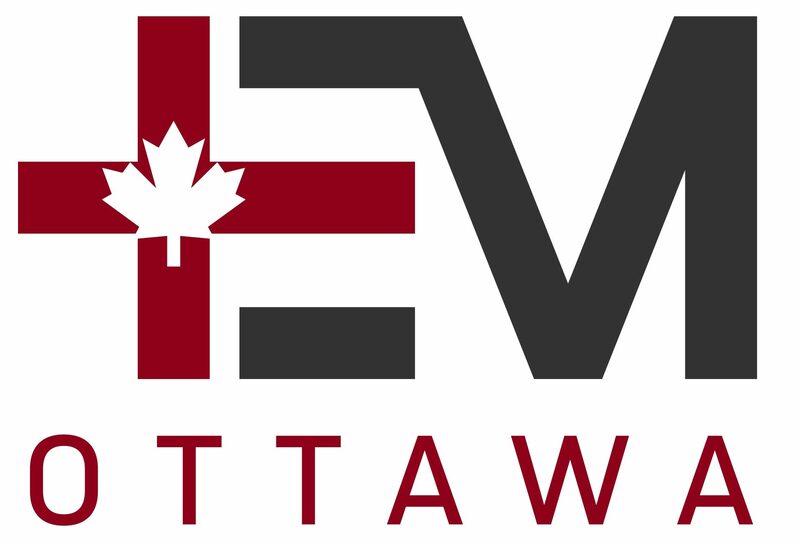 ZIKV test and counselling is available in Canada. 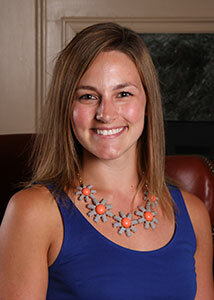 Dr. Lauren Lacroix is an 3rd year Emergency Medicine resident at the University of Ottawa, with an special interest in resuscitative medicine. Edited by Dr. Shahbaz Syed, PGY-4 Emergency Medicine, University of Ottawa. 2. Damodaram M, Kaladindi M, Luckit J & Yoong W. D-dimers as a screening test for venous thromboembolism in pregnancy: is it of any use? Journal of Obstetrics and Gynecology. 2009. 29(2):101-103. 3. James AH et al. Acute myocardial infarction in pregnancy: a United States population-based study. Circulation. 2006. 113(12):1564-1571. 8. Leung AN et al. An official American Thoracic Society/Society of Thoracic Radiology clinical practice guideline: evaluation of suspected pulmonary embolism in pregnancy. 2011. Am J Respir Crit Care Med. 184:1200-1208. 9. Liu S et al. Epidemiology of Pregnancy-associated Venous Thromboembolism: A Population-based Study in Canada. Journal of Obstetrics and Gynecology of Canada. 2009. 31:611-620. 11. Meng K et al. Incidence of venous thromboembolism during pregnancy and the puerperium: a systematic review and meta-analysis. The Journal of Maternal-Fetal & Neonatal Medicine. 2015. 28(3): 245-253. 12. Pieper PG. Use of medication for cardiovascular disease during pregnancy. 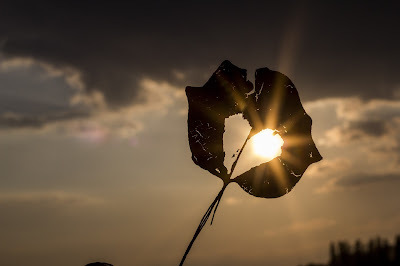 Nature Reviews Cardiology. 2015. 12:718–729. 14. Public Health Agency of Canada. Maternal mortality in Canada. http://sogc.org/wp-content/uploads/2014/05/REVISEDMortality-EN-Final-PDF.pdf. Accessed April 1, 2016. 15. Pyatt JR & Dubey G. Peripartum cardiomyopathy: current understanding, comprehensive management review and new developments. 2011. Postgrad Med J. 87:34-39. 16. Sahni G. Chest Pain Syndromes in Pregnancy. Cardiology Clinics. 2012. 30:343-367. 17. Sheikh AS & O’Sullivan M. Pregnancy-related spontaneous coronary artery dissection: two case reports and a comprehensive review of literature. Heart Views. 2012. 13(2):53-65.